KBB.com 10 Most Awarded Brands. Scores 40 Highway MPG and 30 City MPG! This Chevrolet Cruze boasts a Turbocharged Gas I4 1.4L/ engine powering this Automatic transmission. ENGINE, 1.4L TURBO DOHC 4-CYLINDER DI with Continuous Variable Valve Timing (CVVT) (153 hp [114.08 kW] @ 5600 rpm, 177 lb-ft of torque [239 N-m] @ 2000-4000 rpm) (STD), Wipers, front intermittent, variable, Windshield, solar absorbing. 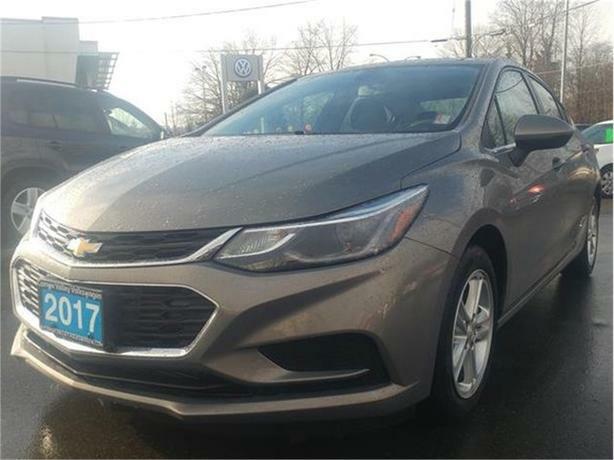 * This Chevrolet Cruze Features the Following Options *Windows, power with driver and front passenger Express-Down, Wheels, 16 (40.6 cm) aluminum, Wheel, spare, 16 (40.6 cm) steel, Warning tones, driver and front passenger safety belts, Visors, driver and front passenger vanity mirrors, USB charging port, Trunk release, power, remote, Tires, 205/55R16 all-season, blackwall, Tire, T115/70R16, blackwall, compact spare, Tire Pressure Monitor. * Stop By Today *Stop by Comox Valley Volkswagen located at 401 RYAN RD, COURTENAY, BC V9N 3R5 for a quick visit and a great vehicle!